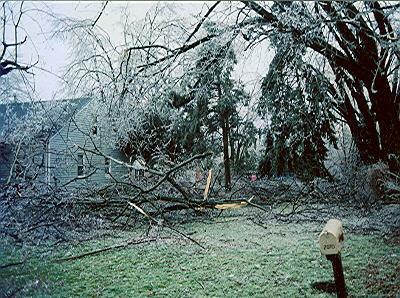 These photos were taken in Cridersville and Shawnee Township after the ice storm of January 5 and 6, 2005. 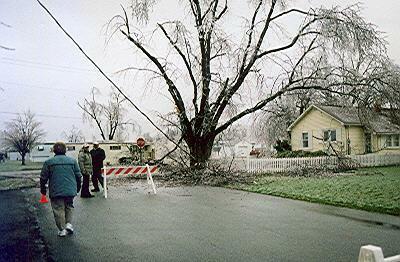 Most of us in Auglaize and Allen counties were without power for anywhere from two to seven days. 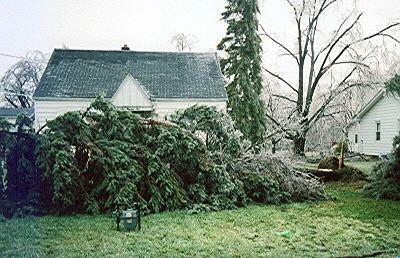 Almost everyone had trees or tree limbs down in their yard. Some had roofs damaged by faling limbs, or water in their basements after sump pumps lost power. The cleanup has been slowed by snow, rain, and cold temperatures. All photos on this page by Alan Draves. Fallen trees blocked many roads. This large tree was uprooted. One of the many downed power lines in Cridersville. 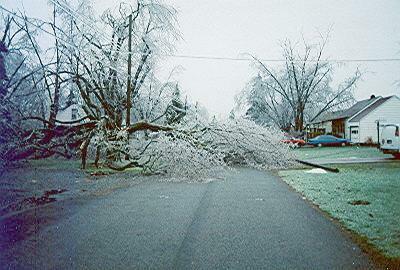 Many yards were filled with shattered trees. 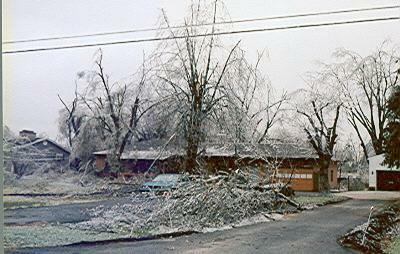 The ice storm shattered many large trees.